ACT Fibernet, an Indian telecommunications company, is making the high-speed internet connection, which was available only for enterprises, accessible for every individual. ACT Fibernet has announced the launch of 1Gbps wired broadband internet service in India. The high-speed broadband connectivity will first reach Hyderabad, priced at Rs 5,999 per month with a FUP of 1TB. Soon after, this subscription plan will be launched in 10 more cities in the country like Bengaluru, Chennai, Coimbatore, Delhi, Eluru, Guntur, Nellore, Tirupati, Vijayawada, and Visakhapatnam. Minister of IT, Telangana state, KT Rama Rao launched this service in Hyderabad yesterday. Bala Malladi, the CEO of ACT Fibernet, claimed that India is one of the first few countries in the world to employ speeds of 1 GBPS. “We are confident this product will transform the way internet is now being consumed at large and this will fast-track the government’s newest target to connect all its 23 million Telangana residents through the Internet by 2018,” he further added. ACT Fibernet claims it has the best fibre optic technology available, and it aims to deliver, disrupt and lead technological growth in the country. The speed of the downloads would be reportedly faster than transferring data from a USB drive, which consequently helps the customers upload large sized files to cloud and drive in just a few seconds and download 10 HD movies at a time, in less than 10 minutes, as per the company. The company believes that the high-speed internet connection would be a boon for startups. 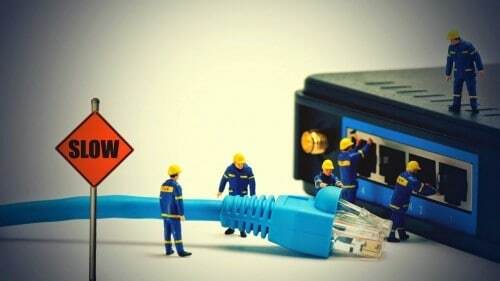 “A start-up cannot afford to pay Rs 5 or 6 lakhs for a leased line. Enabling startups to have a cost-effective high-speed internet access will change the face of digital India,” Malladi added. The company is yet to comment on the commercial launch of the service. Reportedly, Reliance Jio is also testing its broadband fibre network to the home (FTTH) wired network, called Reliance Jio GigaFiber in Pune and Mumbai. Airtel has also bumped up speeds for its wire broadband from 16Mbps to 100Mbps.